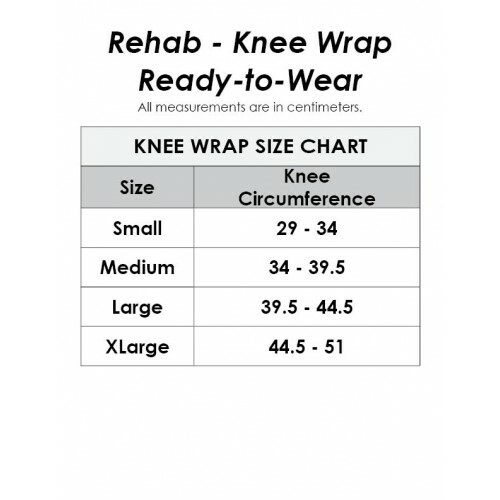 ​This wrap-style knee garment covers the leg from below the mid-calf to the lower thigh and is the most popular in our Rehab line. An adjustable garment with an attached Nylon & Spandex Powernet outer wrap, the Knee Wrap is ideal for acute injuries or knee replacements. 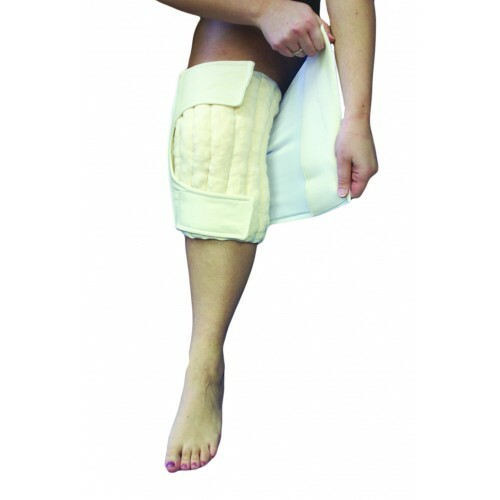 It is designed for acute or traumatic edema when either donning is a concern or where wound dressing is a consideration. To don, place the leg into the open garment, wrap it around the knee and tighten first the inner portion and then the outer layer to the patient's tolerance level.